Nigerian music star, D’banj, who just welcomed a baby boy he has already christened Daniel with his wife he secretly married last year, Lineo Didi Kilgrow in United States, has taken to his Instagram page to share photo of his son to wish children across the world a ‘happy children’s day’. 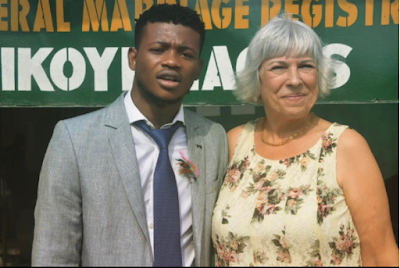 Two suspects alleged to have gruesomely assassinated an Italian based Nigerian in Benin city ,Edo state mr. Omoruyi okundolor have been arrested by men of the Edo state police command. They were said to have confirmed that the female lover of the deceased who felt jilted contracted them for the killing. The suspects who said they were four that went for the killing named one moses and power as members of their gang. The said female lover and the two accomplices are now at large. They claimed that the plan to assassinate Omoruyi okundolor was hatched in a drinking spot at evbuotubu in Benin city. An 18 year old girl was also killed by the hoodlums when they were on their way to assassinate Omoruyi on the excuse that the young girl recognise on of them who pulled the trigger. More details ahead. 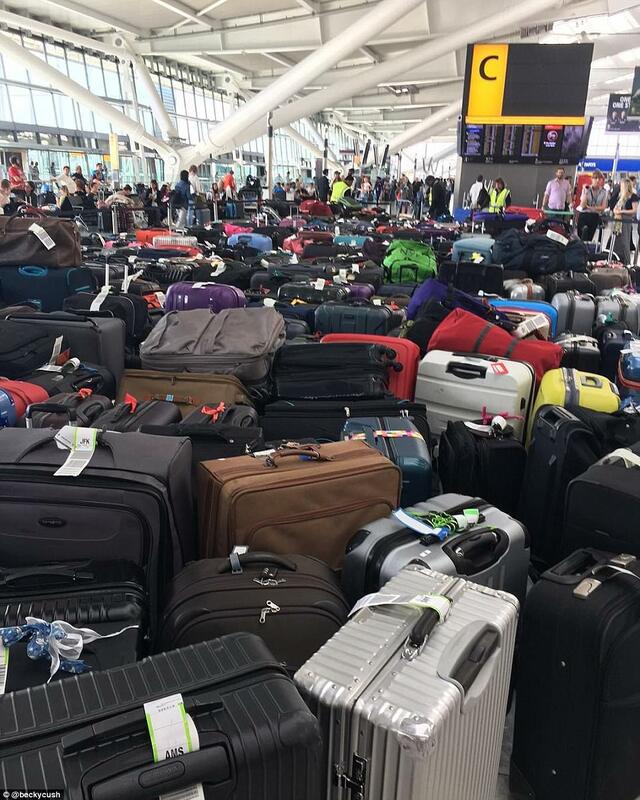 Thousands of British Airways passengers are now scrambling for somewhere to stay after a global computer system crash left them stranded ahead of the busy Bank holiday weekend. BA said a 'power supply issue' was the reason why all flights from Heathrow and Gatwick were cancelled for the rest of the day. Top Scientist Says All You've Been Told About Salt Is WRONG: Eating Too Little Salt Can Cause Increase Risk Of Diabetes. Salman Abedi sub-let a home in Somerton Court, in the Blackley area of the city, which was raided by armed police on Wednesday evening. His former landlord contacted police after recognising the killer's name. Mohamed al-Hudarey (inset), a friend of landlord Aiman al-Wafi, said there was a strong smell of chemicals left behind when Abedi suddenly moved out last month, and initially thought the killer had been practicing 'black magic'. The first day of Ramadan 1438 fasting will commence tomorrow, Saturday, May 27. 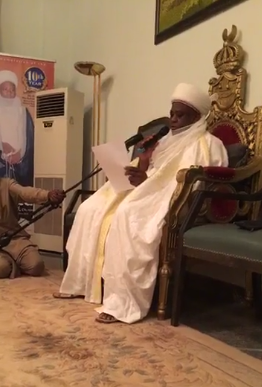 In a just concluded press conference, the Sultan of Sokoto - Sa'ad Abubakar III, stated that the moon has been sighted in many states of the Federation. Reliable sightings of the moon were received from Muslim leaders across the country, and the sightings were verified by the National moon sighting committee. Hence, the fast would commence tomorrow, May 27. 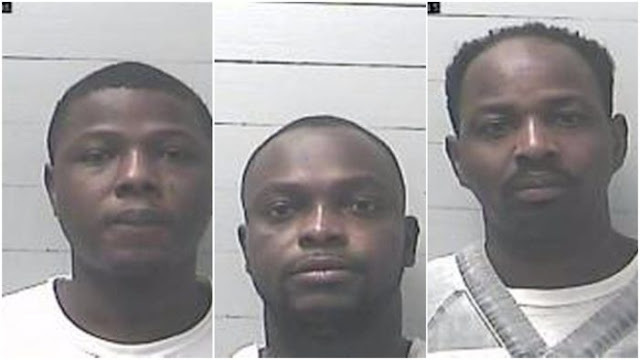 Three Nigerian scammers who befriended many of their victims on dating sites have been slammed huge prison sentences by a Mississippi court after making tens of millions of dollars from their schemes. Yomi Fabiyi, the publicity secretary of late Moji Olaiya‘s burial committee has shared more details about her burial and return of her body to Nigeria. According to the actor, Moji Olaiya’s birth certificate was issued yesterday and the government of Canada has also released her body to her brother a friend of the industry Mr Yinka Farinde for burial. Watch these 2 nearly defenseless cops attempt to arrest an African migrant who just committed a crime and is now trying to flee the country. They tried to subdue him, and looked like something you see in a sketch comedy in the process. This is just pathetic. At least give these guys a taser! Pictures of the pigeon after its ‘arrest’ show the the grey bird and the bag on its back. Once the backpack is opened up, close to 200 small, white pills can be seen spilling out. The burial rites of late Adeshina Adesanya popularly known as Pastor Ajidara in Yoruba movies has commenced today in Abeokuta. 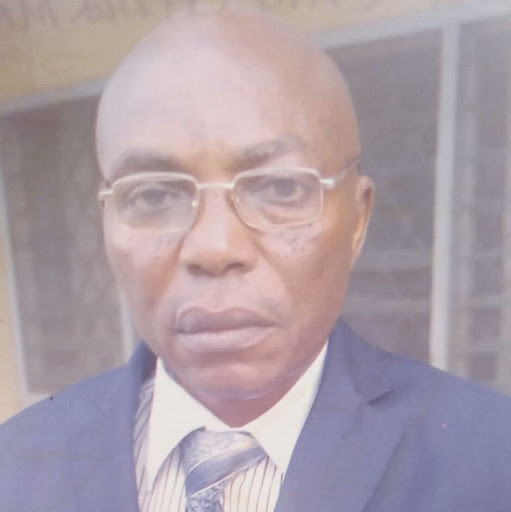 The 63 year old actor who died before help could reach him as a result of kidney failure earlier this month will be laud to rest in his home town Abeokuta tomorrow Friday. In response, she wrote "My dream come true love!!" Nollywood Actress, Mercy Aigbe is currently in the United Kingdom to seek fresh treatment from a MaIn the UK to see an Oral and Maxillofacial Surgeon after going through domestic violence with her estranged husband, Lanre Gentry. The safe house, run by the Penelope Association, provides shelter for women and girls who were trafficked for sexual purposes. Mary left home at the age of 17 to work in Italy, to escape a life with no prospects but was tricked by traffickers into prostitution. 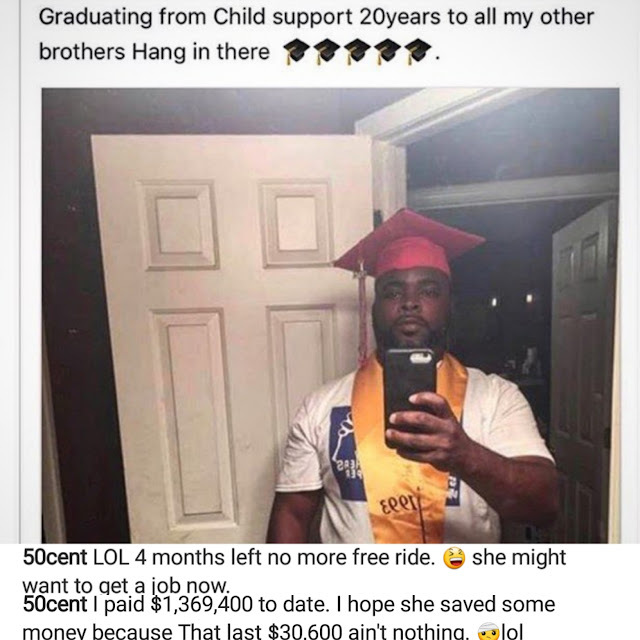 50 Cent is preparing for his child support graduation as he revealed he has 4 months left to pay his first baby mama. He also revealed he has payed her a total of $1,369,400 to date and has just $30,600 to pay. Vigils have been held around the country as people join together in solidarity and try to come to terms with the atrocity which took the lives of 22 innocent people and injured a further 119 following an Ariana Grande concert at the Manchester Arena on Monday night. 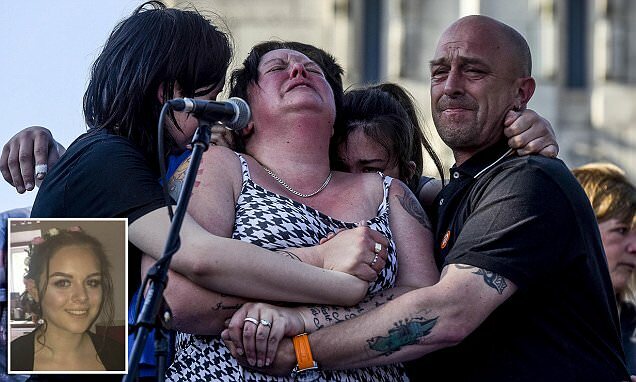 There were heartwrenching scenes in Bury, Manchester as the devastated mother of 15-year-old aspiring pop star Olivia Campbell (inset), who was killed in the attack, broke down during a vigil (pictured). A minute's silence will be observed at 11am on Thursday in remembrance of the victims, while flags will remain at half-mast on government buildings until the evening of May 25, said a statement released jointly by 10 Downing Street, the Foreign Office and the Department for Culture, Media and Sport. There was also a minute's silence before the Europa League final game in Stockholm this evening, with both teams wearing black armbands as a mark of respect. AJAX 0-2 MANCHESTER UNITED - MARTIN SAMUEL AT THE FRIENDS ARENA: The index finger said it all. No 1, Jose Mourinho, seemed to be saying, and with some feeling, too. Still No 1. And while Zinedine Zidane may beg to differ, and Massimiliano Allegri at Juventus, or even Antonio Conte for that matter, what is indisputable is that, on this occasion at least, Mourinho got it all right on the night. The mood, the strategy, the selections, the plan. Mourinho said the Europa League represented Manchester United’s safest route to Europe’s biggest tournament next season, and he was vindicated here in Stockholm. Manchester United take on Ajax in the Europa League final knowing victory put them in next season's Champions League. United have the chance to end a tame season on a high and by adding another piece of silverware to the Old Trafford trophy cabinet. 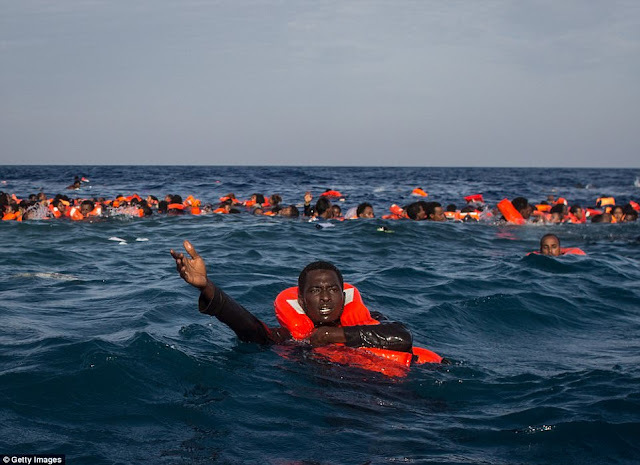 More than 30 migrants including young children have drowned off the coast of Libya as they crossed the Mediterranean to start a new life in Europe. More than 200 people without life jackets were thrown from their rickety boat moments before they could be hauled into waiting rescue vessels. Four schoolgirls aged 14 to 15 have now been named among the victims of the Manchester suicide bomber who slaughtered children as young as eight when he blew himself up at an Ariana Grande pop concert. 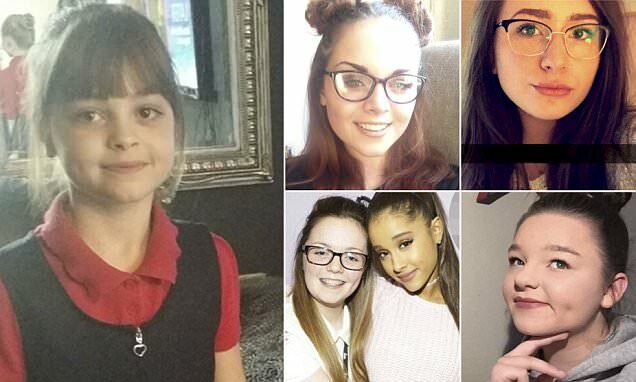 Fourteen-year-olds Sorrel Leczkowski (bottom right) and Nell Jones (top right), who was watching the US singer on crutches, were both murdered in cold blood when 22-year-old terrorist Salman Abedi detonated an explosive packed with nuts and bolts at the Manchester Arena. An off duty female police officer was also killed in the blast along with a Coronation Street superfan, an ex-footballer's wife, a Polish couple whose two daughters have now been orphaned and the youngest victim named so far, eight-year-old Saffie Rose Roussos (left). Olivia Campbell, 15, (right, top left) sixth form student Georgina Callander, 18, (right, bottom left) and schoolgirl Megan Hurley had earlier been named among the 22 victims. He said he had spoken to his 22-year-old son five days ago and that he sounded 'normal' and was getting ready to visit Saudi Arabia. Earlier, pictures emerged showing Abedi lounging on the beach in Libya (circled, left) with friends and hanging out with his mates in Manchester as a teenager. There is no suggestion any of the people he was pictured with have been involved in any wrongdoing. An extraordinary picture of the family of Manchester Arena bomber Salman Abedi has emerged tonight, as his father who had Al-Qaeda links and his younger brother were arrested in Tripoli. In other words, Melania Trump is submissive to her husband and stays in her lane. Pop singer Rihanna is always searching for “new, energetic” fashion that makes her feel excited. 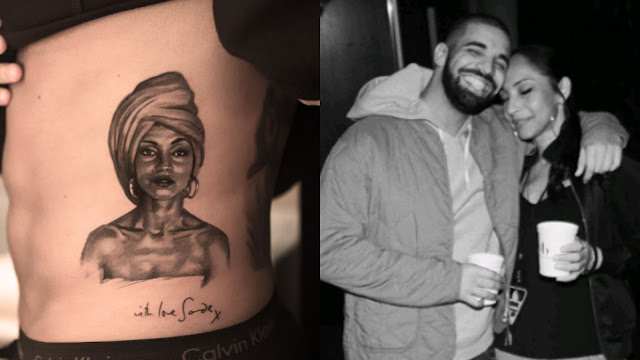 In the past the 29-year-old singer turned to the bottle or drugs to fill that empty void inside her. 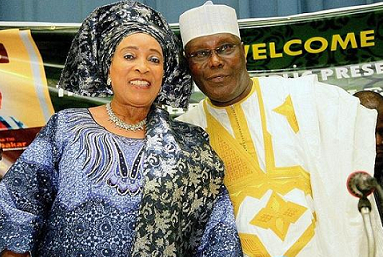 Titi Atiku, wife of former Vice President Atiku Abubakar, on Tuesday told an Ikeja High Court that she trusted a business partner who allegedly defrauded her of N918 million because of his status as a pastor. 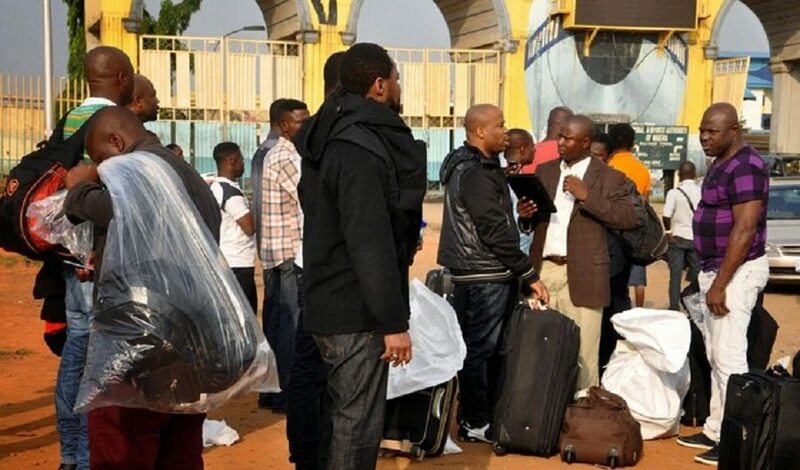 The Government of the United Kingdom on Wednesday deported 35 Nigerians comprising 30 males and five females for committing immigration-related offences in the country. The deportees arrived at the Murtala Muhammed International Airport (MMlA) Lagos at about 5.50 a.m.
“This HE-GOAT raped this small pikin…. He was caught in the act…. What a pity…. The man who was rushed to the hospital immediately after the tragedy where he was being treated -has finally been confirmed DEAD. He reportedly died today. May his soul rest in peace. The young boy whose picture appears top left, needs serious assistance in locating his Nigerian Father, 18-year-old Benjamin Ademola Fashola (born and lives in USA) is seriously in search of his father. . His father (Yinka Fashola) was involved in some criminal activities in US (California) many years ago when Benjamin was still very little. After a while he (the father) was deported back to Nigeria. .
A Nigerian pastor has left his family members in mourning following his shocking death in the hands of an unknown gun man. Police in Indianapolis, capital of Indiana in the United States have launched a manhunt for the killer of a Nigerian pastor, Oluwadayomisi Epenusi. The 66 year old Nigerian was shot to death at the weekend at an apartment complex near 10th Street and I-465 on the city’s west side. 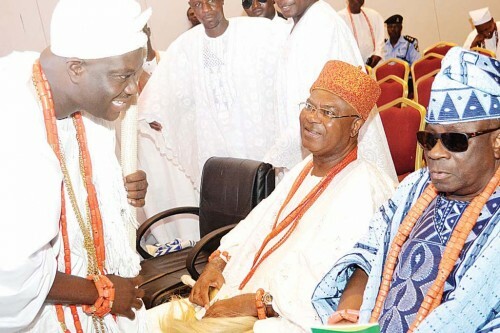 About 14 years after his installation, the Oba of Lagos, Rilwan Akiolu, on Monday appeared in an Ikeja High Court in a suit challenging his emergence as the paramount ruler of Lagos, saying he is the bona fide monarch. “By native law and customs and by law, I am the bona fide Oba of Lagos,” said Akiolu, who was accompanied to the court by 10 white cap chiefs. A SUICIDE bomber slaughtered at least 22 people – including children – at a packed concert last night in the worst terror attack in the UK since 7/7. Thousands of adults, teenagers and children screamed and fled in panic as a terrorist detonated a huge bomb – thought to be packed with nails and bolts – as American pop star Ariana Grande’s concert ended. Witnesses told of seeing shards of metal tearing into concertgoers in the foyer area of the world-famous concert venue – leaving dozens lying in pools of blood. At least 19 people are dead and 50 more injured after a suspected suicide bomber targeted children leaving a packed pop concert at Manchester Arena last night. 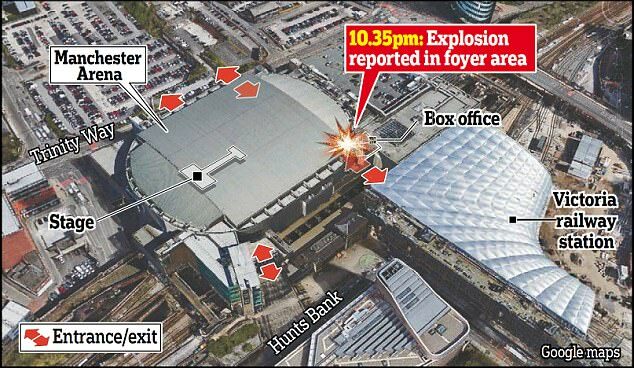 Witnesses told of nuts and bolts tearing into young concert-goers when the blast was detonated in the foyer area between the arena and the next-door Victoria station just after the Ariana Grande gig ended. Horrifying footage showed petrified children leaping over chairs and barriers as they desperately tried to escape the 21,000-seat venue, which led to a stampede. Two US officials have said it was a suspected suicide bomber. Armed officers surrounded the venue and bloodied casualties were seen being stretchered out of the concert that resembled a 'war zone'. At 3am Ian Hopkins, chief constable of Greater Manchester Police, said they were treating it as a 'terrorist incident' and that the injured were being cared for at six hospitals. As reported earlier today, the remains of late actress, Moji Olaiya, will be flown back to Nigeria after APC Chieftain, Bola Tinubu, offered his assistance. Pictured above is Foluke Daramola Salako, Kemi Afolabi, Tinubu and Adunola Farounbi, the first daughter of Moji Olaiya at Bourdillon, Ikoyi, after the APC Chieftain handed over the money this morning to the burial committee and Moji's family to fly her remains back to Nigeria for a befitting burial. 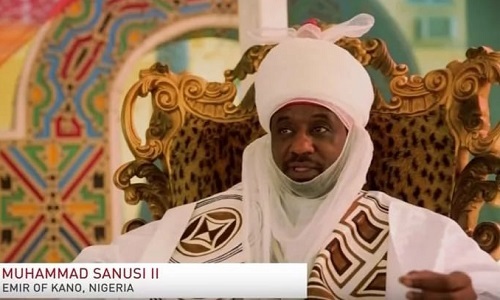 The Kano State House of Assembly has called off its investigation of alleged misappropriation of funds and other infractions by the Emir of Kano, Muhammadu Sanusi. The House resolved to drop the probe following a plea through a letter by the state governor, Abdullahi Ganduje, which was read by the speaker, Kabiru Alhassan Rirum, on the floor of the House. On Sunday, a coalition of civil society groups in the state had also joined in calling on the legislators to stop the exercise. 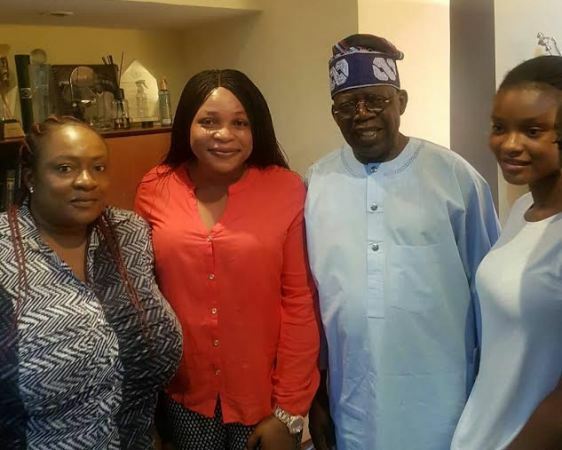 The former governor of Lagos State, Asiwaju Bola Ahmed Tinubu today gave out the money needed to bring back to Nigeria the body of Nollywood actress, Moji Olaiya from Canada, where she died on Thursday morning. This is really funny. A video making the rounds online features a Zimbabwean pastor who claimed to have spoken to God over the phone during a church service. The pastor was filmed "talking to God" over his cellphone while the churchgoers cheered in the background. 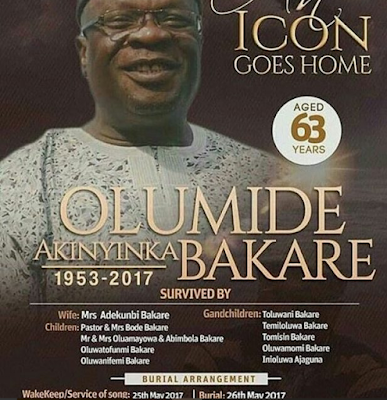 A few days ago, multiple media houses reported that the Ekiti State government intervened and stopped the burial from taking place in Canada as planned, with the intention of bringing the body back to Nigeria. The burial committee however issued a statement denying the reports, saying they were yet to get feedback from the state government concerning the burial. Olukayode Salako has now revealed that Ekiti Governor, Ayo Fayose, dismissed their request even though the Late Moji Olaiya was an indigene and Cultural Ambassador of the state. Chelsea were presented with the English Premier League EPL trophy after thrashing relegated Sunderland 5-1 at Stamford Bridge on the final day of the season on Sunday. Nigerian star, Victor Moses brought his beautiful partner and two children Nyah Moses and Brentley Moses on the pitch as his joined his team mates to celebrate the trophy. Meanwhile, Super Eagles winger Victor Moses has been hailed by The Confederation of Africa Football (CAF) after he helped Chelsea to win this season’s English Premier League title, reports AOIFootball.com. 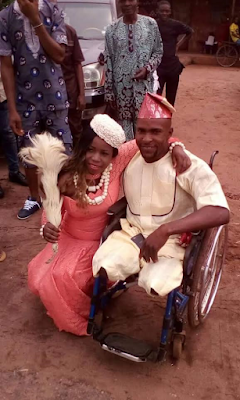 Nwabufo Peter Ndubuisi-De Dawn shared some photos from his traditional wedding , which took place in Anambra State on Saturday, May 20th. Happy married life to them! May God bless their union. See more photos after the cut..
Gomes, who has been at the club since the age of six, made his senior debut for United at Old Trafford as Jose Mourinho named the club's youngest side in Premier League history ahead of next week's Europa League final. The 16-year-old was a late substitute, replacing Rooney after 88 minutes of their 2-0 victory on the final day of the Premier League season. 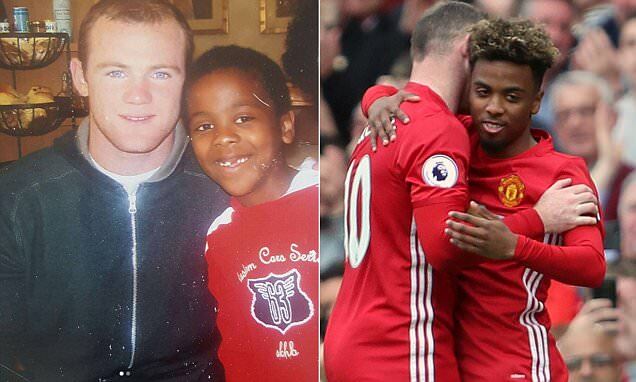 And the wake of his first appearance for the United first team, Gomes posted a photo on his Instagram of him and Rooney from a decade ago with the caption: '10 yrs later , anything is possible... #Godswill'. New report have emerged about the death of Nollywood actress, Moji Olaiya, who passed a way few days ago, following complications from childbirth.